I think the best thing about it not being the 1950s anymore is that it’s not the 1950s anymore. Women can openly love women, men can openly love men, and people can ditch the labels and love whoever they decide to love. We still have a long way to go, but in contrast to the classic 1950s nuclear family comprised of a hardworking husband and a housewife clad in a floral apron and resentment, we’ve come a long way from what once was “traditional.” With moving past the “traditional” lifestyle comes changing the “traditional” relationship. 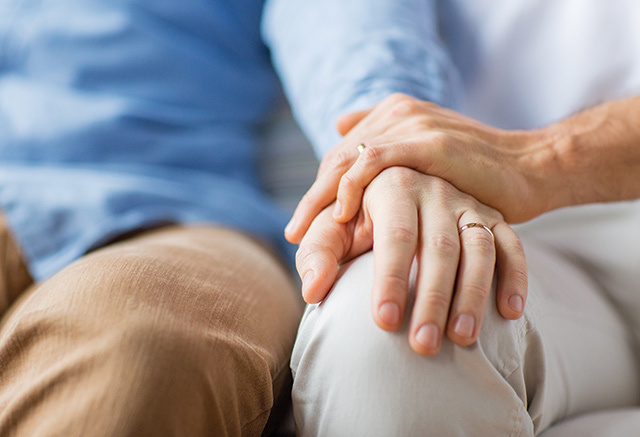 Although commonly represented as a young, happy couple starting their careers and moving into the next stage of their lives, it’s time to recognize that people of all ages can find love—whether that be for the first or twelfth time. This is why I’ve put together a list of tips to help senior citizens who are in the process of planning a wedding. After years full of life-changing experiences and newfound wisdom, it can seem almost foolish to ask for help to plan a wedding—especially if this isn’t your first time down the aisle. Despite your previous knowledge or experience, asking for help from a professional will undoubtedly take a load of unnecessary stress off of your shoulders. If you’ve already experienced a great love story in your lifetime, it’s likely you’re looking for ways to make this one seem fresh and exciting, not a repeat of the last. Use this new adventure you and your partner are about to embark on as a way to try something new. Blush-colored wedding dresses are especially popular among senior citizen brides as they bring something new while still maintaining the elegance of a traditional wedding. Coinciding with the last tip, many senior citizens choose to renew their vows with their significant others. While it may be tempting to recreate the moment you two first said “I do,” it’s important that you don’t get too stuck in the past. Changing small details like the type of flowers, the venue, or the desserts can bring a breath of fresh air to your vow renewal. For couples tying the knot for the first time, taking a step out of your comfort zone can be a good start to a new marriage. Perhaps having an exotic destination wedding or taking dance lessons prior to the wedding to show off some new fun, choreographed moves will put more excitement in your new romance. Cut down the guest list. Friends, family members, old coworkers—you might find that your preliminary guest list is never-ending, which can be overwhelming and costly. Cutting down the list can save you from spending too much and getting too stressed. Having a small wedding by only inviting family and close friends can be more intimate than a larger wedding. After all, it’s all about appreciating the important things in life, right? Don’t feel like you can’t have a registry. You’re probably not pining for new kitchen appliances, china, or home furnishings, but that doesn’t mean you can’t register for wedding gifts. A lot of older couples use their registry for a honeymoon that they wouldn’t be able to afford on their own. Registering for experiences rather than things might be more suitable for you and your significant other so the two of you can try something you’ve never done before. Weddings aren’t just for young couples; they’re for anyone in love. So whether this is your first or third time saying “I do,” you can have the wedding of your dreams. As they say, have your cake and eat it, too… literally.